Home to many stars and a vacation spot for many more, the Golden State offers the chance to catch a glimpse of your favorite celebrities. While a star sighting can’t be guaranteed, you can plan a trip that will allow you to walk in the footsteps of your favorite celebrity, and experience the best of California as they would. 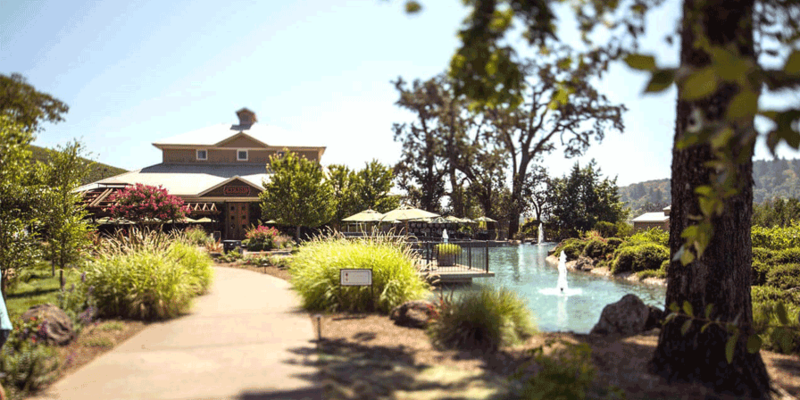 Gorgeous scenery, great food and world-class wines make Sonoma County a favorite of A-listers. Start your day at the Kamen Winery, named for owner and famous screenwriter Robert Mark Kamen, who penned the scripts for “The Fifth Element,” “The Transporter” series, and “Taken.” This winery, known for its big reds, recently played host to Academy Award-winning actress Jennifer Lawrence. Wineries aren’t just for tasting, they’re also perfect if there is an “I do” in your future. Try the Kunde Family Winery, where Seth Rogen tied the knot. Make sure to snag a reservation at the Girl and the Fig, one of the acclaimed Sonoma County restaurants Lady Gaga recently visited. End the day with an overnight at the European-style Kenwood Inn & Spa, a favorite celebrity haunt. They’re so popular among the celebrity crowd, they guard their guest’s privacy and won’t name names! Fans of the popular TV show, “Modern Family,” can replicate what the cast did during filming and in a recent episode in this outdoor paradise. With mountains galore, hikers can retrace the trail Julie Bowen and Ty Burrel trekked in D.L. Bliss State Park, or the hike the kids did at Emerald Bay. Off-screen Nolan Gould was seen mountain biking around Tahoe on a bike rented from Over the Edge. For adrenaline junkies, cliff jumping like Bowen and Burrel did in the southeast side of the lake in D.L. Bliss State Park is an ideal Instragamable adventure. If cerebral adventure is more your speed, try Trapped in Tahoe, an escape room Gould, Ariel Winter and other cast members visited. Water sport enthusiasts should head to Camp Richardson where the houseboat used in the episode is docked. 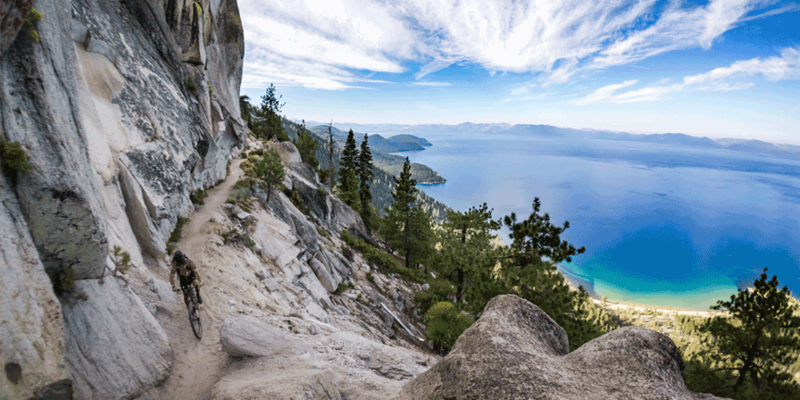 Visitors can get out on the famous lake through tours with Lake Tahoe Boat Rides or on a wine tasting sail with Tahoe Tastings. 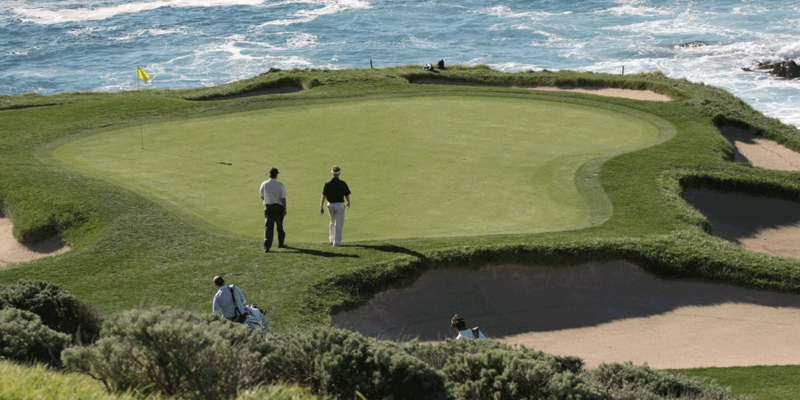 Star-struck golfers need to tee it up at one of three courses in the area, including two that comprise the AT&T Pebble Beach Pro Am, which draws celebs like Justin Timberlake, Josh Duhamel, Bill Murray and Jake Owen every February. Pebble Beach Golf Links, the number one public course in America, and Spyglass Hill, one of the toughest in the world, lets golfers play like the celebs do. Add in The Links at Spanish Bay and there is a trifecta of amazing courses where Tiger Woods, Jack Nicklaus and Ben Hogan have all teed off. Bunker down at The Lodge’s new Fairway One, a collection of one- and two-bedroom cottages featuring luxurious appointments and views of the fairway. The on-property Forbes Five-Star spa is the perfect antidote to the sore muscles from a tough round. When your name is the Madonna Inn, it’s no surprise that you’re meant to be in the spotlight. This whimsical hotel has served as a backdrop for movies and videos for years, and today is a reality TV playground, playing host to “The Bachelor,” “Keeping Up with the Kardashians,” and “The Girls Next Door.” Riley Keough, Elvis’ granddaughter, celebrated her bachelorette party here with Kristen Stewart in tow. Even the Inn’s famous champagne cake is a star, named Carson Kressley’s top pick on the Food Network’s “Guilty Pleasures.” A stay here is a must to make your social network jealous, and you never know, an undercover star might just be photo bombing in the background! 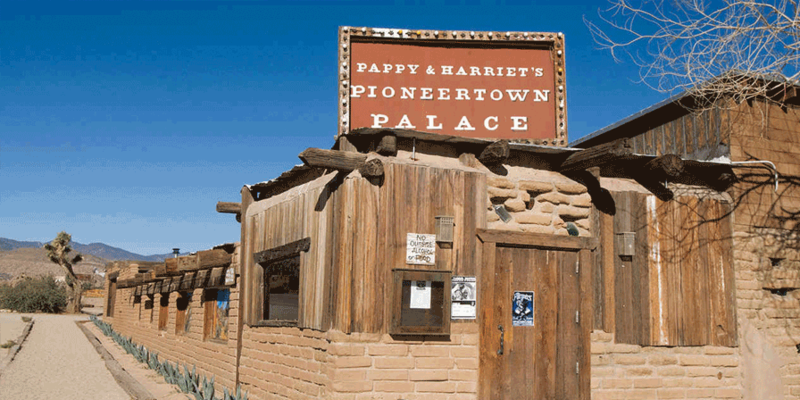 For music lovers, Pappy & Harriet’s, a former Western movie set, is a local gem in Joshua Tree. The unpretentious venue draws musicians worldwide, especially during the famous Coachella music festival. Over the years, stars like Paul McCartney, Sean Lennon and Lorde have graced its stage. Come for Monday’s open mic night…who knows who might grab the mic. Only 90 minutes from Los Angeles, it’s no surprise that Southern California’s closest mountain resort, Mountain High, is a magnet for stars like Tom Cruise, Adam Sandler, David Hasselhoff, Arnold Schwarzenegger and more. Located in the San Gabriel Mountains, skiers never know what A-lister they might end up sharing a chair lift with. Mountain High is divided into three resorts offering skiing, snowboarding and tubing for all levels. 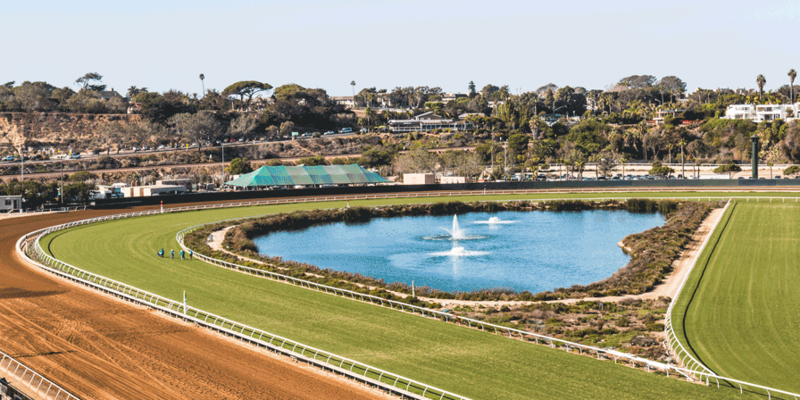 Grab your best hat, cutest dress or seersucker suit and make a day of it living like a VIP at the Del Mar Thoroughbred Club races. The iconic venue has been a celeb stomping ground since Bing Crosby and Jimmy Durante made it their summer playground. Come on opening day for your best shot to see today’s stars sporting their finest. If you have a large entourage, consider booking a Celebrity or Luxury Suite – otherwise opt for box seat tickets to see the ponies.